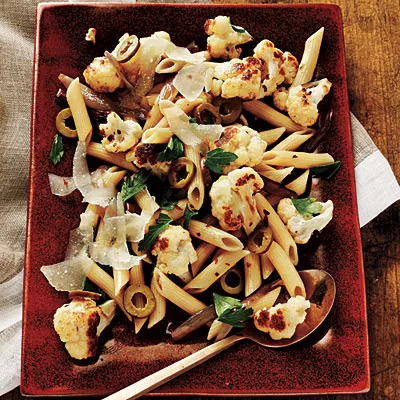 Have you cut back on or—gasp!—given up pasta? 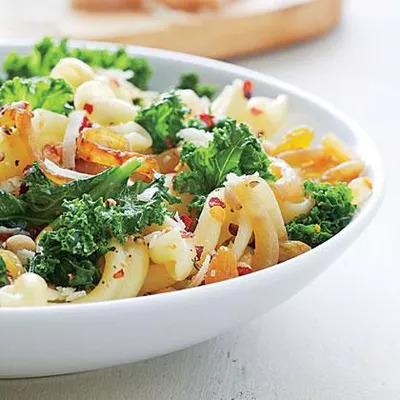 Try our strategies for healthier noodles on National Pasta Day. Have you cut back on or—gasp!—given up pasta because of the bad rap it’s gotten? (It’s a carb! Carbs make you fat!) Do you miss it? Good news: It's time to put a pot of salted water on to boil. While we tend to think of foods as “good” or “bad,” the reality is almost any food is fine in moderation. Our strategy for worry-free noodle indulgence? Balance your plate with plenty of produce, lean protein, and good fats. So what’s a reasonable serving size? 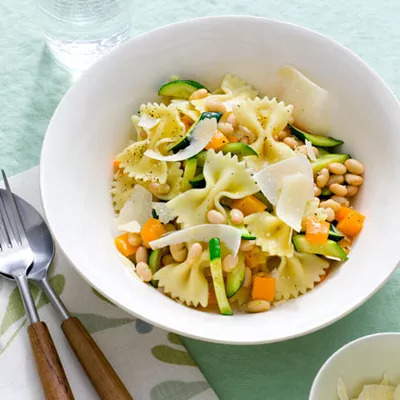 About 2 ounces of dry pasta per person equals about 1 cup cooked, which is a good portion (and equals 2 servings of grains). 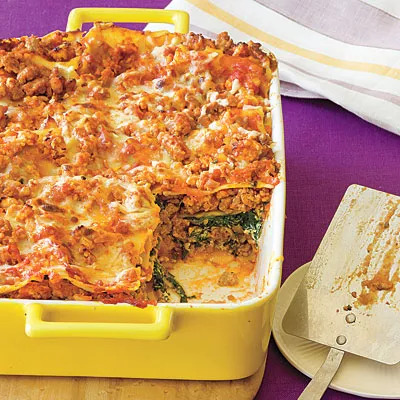 But there’s no need to break out the kitchen scale, just use your noodle: If you’re cooking for 4, and you have a 1-pound box, simply use half (that's 8 ounces). 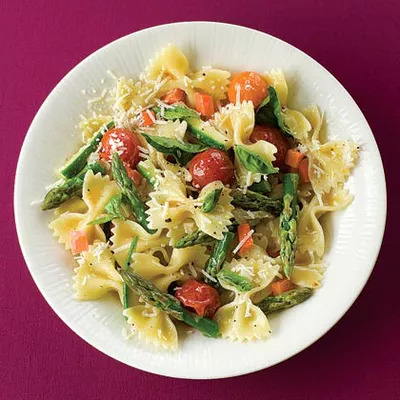 To make your meal even more beneficial, try whole-grain pasta (or a blend that incorporates whole grains). Avoiding gluten? Soba, made with buckwheat, ($8, edenfoods.com) can be a great choice—just be sure to check the label, since some soba brands mix the buckwheat with regular wheat.